There is no shortage of theories that seek to explain the origins of the Basques, western Europe's mystery people. They range from the incredulous (that Basques are the survivors the lost people of Atlantis, the fabled land that sunk into the sea) the mythical (Basques are descendants of Aitor, the first Basque man) the pre-historic (Basques descended from the Stone Age, proponents pointing to Basque words for tools that all incorporate stone) the expansive (purported links with other distant languages) to the probable (Basques are descendants of the Iberians, people who once inhabited Spain). 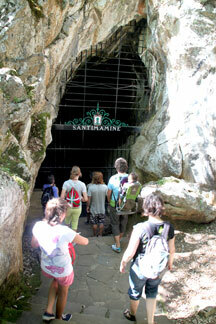 Outside the city of Gernika, one can find the caves of Santimamine which contains the remnants of a culture 20,000 years ago. Other archeological finds suggest that the present Basque homeland contained human communities as long as 70,000 years ago. What is unknown, however, is if they were ancestors of the Basques. The debate is whether the Basque populace and culture developed--in situ--there in the Pyrenees or if they migrated into their present homeland. Those skeptical of the tens of thousands of years of a Basque presence place their arrival sometime between 5,000 and 3,000 B.C. Nonetheless, even these conservative estimates place the Basques in western Europe long before the migrations of the second millennium B.C. that established the ethnic composition of modern Europe. Therefore, what is certain is that the Basques are the oldest indigenous people of western Europe. Where are they from? Who are the Basques? Both are questions that many Basques are asked. Neither is easy to answer but there has been no shortage of efforts. Philippe Veyrin, a French student of Basque origins, grouped explanations into three broad categories: theological, the metaphysical and scientific theories. Leading writers from the theological age--predominately in the late 18th, and early 19th centuries--put forth claims that Basque was the original language spoken prior to the linguistic fragmentation resulting from the Tower of Babel. (The biblical story in which God thwarts the human effort to build a high tower to reach the heavens. To disrupt the project, God imposed a multitude of languages on the workers so that they could not communicate with one another). One attempt to substantiate this claim was that of the Abbe Diharce de Bidassouet who based his claim on some inventive etymological work. Gipuzkoa (one of the seven provinces) represented Gu-iz-puzk-ko-ak, or literally those whose language was broken. Meanwhile, Manuel de Larramendi, who wrote the first Basque grammar book, was not as assertive and instead assigned Basque a place among the seventy-five languages that followed the collapse of the Tower of Babel. 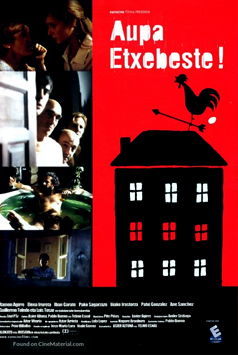 Finally, another commentator, Abbe Dominique Lahetjuzan claimed that Basque proved the story of Genesis. Apparantely the originality of Basque verified the divinity of Genesis. Unfortunately, these and other explanations offered little solid evidence for their claims and instead relied on questionable etymologies and assumptions. But for a time, these claims were taken seriously. The Gipuzkoan priest Erroa petitioned the Chapter of the Cathedral of Pamplona, which after months of deliberations, accepted his theory that Basque was the language spoken in the Garden of Eden. Metaphysical explanations were initiated in the nineteenth century by the German scientist Humboldt. He asserted that Basques descended from the Iberians, the original inhabitants of the Iberian peninsula. Not everyone embraced his conclusions, and Humboldt's research triggered a rush to link the Basques with other peoples--from the Finns and Hungarians, to the ancient Egyptians and the Native Americans, with the Celts, Phoenicians among others, thrown in for good measure. Rodney Gallop, writing in 1930, preferred the theory offered by Bosch Gimpera. Gimpera places the Basques in linear succession to the Paleolithic inhabitants of the Pyrenees, basing his claim on the physical resemblance of from 25-40% of the modern Basque population. Basques were influenced by the Iberians, and most likely borrowed from their language, but they were distinct. It is a plausible hypothesis, but as Gallop concedes it is not conclusive. Gallop concluded that the Basques are the oldest people in Europe. There is little or no mention of the Basques until the 12th century, Gallop tells us, so before that time, "like an honest women they had no history." As Roger Collins concludes, "the evidence just does not exist, be it anthropological, archaeological or linguistic, on which it would be possible to state where the Basques come from, and when and how they established themselves in the western Pyrenees." It is no better when trying to answer the second question: what is a Basque? In former times, it was a more simple matter because it was a people and a land. The Basques defined themselves as Euskaldunak--literally those who speak Basque--and their homeland was Euskal Herria--land of the Basques or Basque speakers. As it turned out, their homeland was situated at a busy thoroughfare on the Iberian peninsula. The Romans "visited," followed by numerous other peoples and armies, including the Goths, Franks, and Moors. Their homeland was finally claimed by the emerging nation-states of Spain and France. Most Basques are aware that there are seven provinces that make up what is today considered the Basque country. They could point out that four are in Spain and three in France. This legacy dates from the Treaty of the Pyrenees in 1659. Representatives from Spain and France gathered to decide upon a mutual boundary between their two nations. The final division, which split the province of Nafarroa into two parts, was presumably based upon "natural frontiers" that divide Spain and France. At the negotiations in Madrid in 1651, it was proclaimed that "the Pyrennes Mountains, which divided the Spanish from the Gauls [French] since antiquity, constitute the division of these two kingdoms." It is not known what the delegates considered to be antiquity because the Basques of course were there before they were. 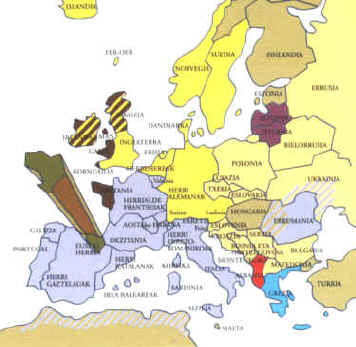 With the integration of the Basque Country into the states of Spain and France, many atzerritarrak or "outsiders" found their way to the land of the Basques. Therefore when Sabino de Arana-Goiri, the founder of modern Basque nationalism at the end of the 19th century set about his task, this question of definition loomed paramount. His definition included discussions of both ethnic and cultural aspects (Arana made an effort to learn the Basque language), but he stressed racial purity. In this simple definition the number of Basque surnames emerged as paramount: the more Basque last names the more Basque one was considered. The definition of Basqueness has been transformed today. From the early accent on racial purity, the modern emphasis is on the Basque language and culture. Other researchers have pointed to physical attributes to differentiate the Basques from their neighbors. There are claims of a distinctive skull structure and defining hair and eye colors. Much as also been made of blood comparisons. Basques have a high percentage of type O blood, in particular a high incidence of Rh negative, but this alone cannot firmly establish a distinct people and it remains problematical to define Basques in physical terms. The plot thickens when the focus shifts to a cultural definition of Basques. Basque nationalists and others have come full circle to conclude that language remains the only satisfactory tool to address questions of Basque identity. This however is controversial because it excludes a sizable group of people who consider themselves Basque even though they do not speak the language. 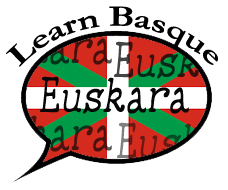 There are also non-Basques who have recently learned the language and now consider themselves Basque. Thus being Basque becomes a state of mind. Do you see why it is not easy to respond to this question? But analysis of the language has revealed some certainties. Do not be confused by the loan words from neighboring languages because Euskara is nothing like Spanish or French because it remains the only non-Indo-European language in western Europe. It precedes these latter-day derivatives of Latin, the language of the Romans, by--at least--3,000 years. A form of Euskara or Basque, therefore, has been in western Europe longer than any other current language. That much is certain, but the question remains as to where it came from. It should come as no surprise then that the origin of the word "Basque" is also uncertain. Somehow the Euskaldunak assumed the names of Basque, in France, and Vascos in Spain. Roman writers made mention of a particular tribe whose neighbors did not understand their language. The first reference came a generation before the birth of Christ and the Romans referred to the people that inhabited this corner of Europe by various names, including Vascones. Gallop posits that the Latin root "vasc" is probably a corruption of the Basque "eusk". He concludes that from this evolved the modern terms Basque, Vasco and Gascon. But it is still uncertain as to whether this was actually the Basque people. In the twelfth century, a more certain reference labeled them the Bascli. We ended up with the French version of the term because English made extensive use of French vocabulary. So do you know anything more now after reading this article? Unfortunately, there are very few certainties when discussing the Basques. They remain Europe's "mystery people" because the origin of the people and their language remains lost to us. While there remain more questions than answers, what is certain is that the Basques and Euskara are western Europe's oldest indigenous people and language. 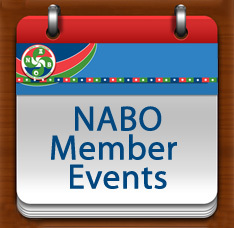 Sources and suggested reading: Robert P. Clark, The Basques: The Franco Years and Beyond. Reno: University of Nevada Press, 1979; Roger Collins, The Basques. Cambridge, MA: Basil Blackwell Press, 1990 ; William A. Douglass and Jon Bilbao, Amerikanuak: Basques in the New World. Reno: University of Nevada Press, 1975; Rodney Gallop, A Book of the Basques. Reno: University of Nevada Press, 1970 ; Robert Laxalt, "Land of the Ancient Basques," National Geographic (? ): 240-276; and "The Enduring Pyrenees," National Geographic (December 1974): 794-819; John E.H. Nolan, "Life in the Land of the Basques," National Geographic CV:2 (February 1954): 147-187; Stanley Payne, Basque Nationalism. Reno: University of Nevada Press, 1975.